Kate Beckinsale and Tom Bennett in Whit Stillman’s LOVE & FRIENDSHIP. ©Amazon Studios/Roadside Attractions. CR: Bernard Walsh. (l-r) Chloë Sevigny and Kate Beckinsale in Whit Stillman’s LOVE & FRIENDSHIP.. ©Amazon Studios/Roadside Attractions. CR: Bernard Walsh. 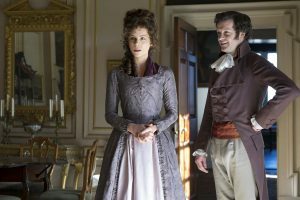 Kate Beckinsale stars in LOVE & FRIENDSHIP. ©Amazon Studios/Roadside Attractions. CR: Bernard Walsh. (l-r) Chloe Sevigny and Kate Bekinsdale star in LOVE & FRIENDSHIP. ©Amazon Studios/Roadside Attractions. CR: Ross McDonnell.